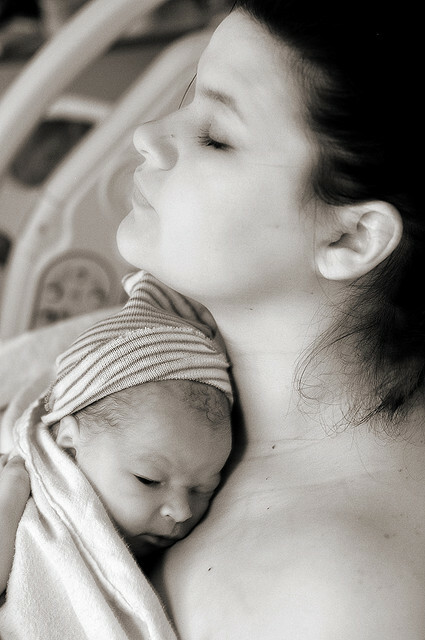 3 Natural Ancient Remedies for New Moms. After having my baby I was surprised to find myself in a body that felt like it had been run over by a bus. I thought I was the only one experiencing this until I began speaking to other new mothers and realized we had all had very similar experiences. As I began to explore and care for my new body in the months that followed I started to appreciate my body’s ability to recover after the intense experience of childbirth. I turned to tools I had used before having my baby and was amazed with the relief they offered to my postpartum body and mind. The vaginal steam bath, a unique aspect of Maya massage, can be especially valuable postpartum. My first experience with the vaginal steam bath was surprisingly wonderful. It’s a noninvasive treatment that involves sitting on a chair over a bowl of steaming herbs. This allows healing heat to enter the uterus and helps to cleanse the womb and assist in healing the perineum or hemorrhoids. It can help relieve constipation and is good preventative care as well. Fire cupping is an ancient Chinese method that uses glass cups to create circulation in specific areas through a localized suction/vacuum method. It works on your lymphatic system by forcing blood and lymph into areas that are blocked or deficient. The resulting red circles that fade over time may look odd to our Western culture, but the benefits far outweigh the temporary cosmetic inconvenience. Where massage pushes the tissues down, cupping pulls the tissues up and out, bringing waste products to the level of the skin, making way for new blood, oxygen and nutrients to flow. When the belly area is cupped it can help with cleansing the abdomen and improve digestion. When used on the lungs it can clear congestion from colds or help with asthma. When used on the back it can relieve back pain, a common complaint among new moms. According to Chinese medicine a mother’s milk supply is made from both chi, or energy, and blood supply. If these are deficient, whether because of blood loss from childbirth or exhaustion from the demands of a new baby, a low milk supply can present. Cupping works directly on revitalizing blood supply and chi. Cupping can also help alleviate engorgement. Fire cupping benefits your circulatory system by cleansing the blood which improves circulation; your digestive system by stimulating the walls of the digestive organs, allowing for increased absorption of nutrients; and your respiratory system by easing labored breathing. Yoga Nidra, also known as yogic sleep, is a state of conscious deep sleep where you don’t actually fall asleep, but your body experiences deep relaxation. Everyone tells new moms to rest. “Sleep when the baby’s sleeping” they say. This is good in theory but can be hard in practice. I hear many new mothers say they can’t relax enough to fall asleep. One study suggested more than 60 percent of parents with babies under two years old average around three to four hours of sleep each night, creating a massive sleep deficit over time. Yoga nidra brings clarity and calmness and a deep sense of peace. I downloaded a few yoga nidra practices and found them extremely helpful when trying to unwind, relax, or get some quality sleep even for just 15 or 30 minutes. Traditional yoga nidra is one of the deepest kinds of meditation, guiding one through different states of awareness that result in a state of unparalleled stillness. Today there are many different kind of yoga nidra practices available to download. Everything ranging from yoga nidra for sleep to yoga nidra for depression, insomnia, anxiety, pregnancy—you name it. These ancient practices have a lot to offer a modern-day mother. Our bodies do a phenomenal job of healing themselves, but a little extra help never hurts. This is really very nice and amazing for new mom. It's very helpful for me because my baby is 5 month's only. This 3 natural ancient remedies is very useful information for me. I should try to follow this tips. Thank you so much for sharing this information. This blog is really very amazing for new mom. This blog is very helpful for me because my baby is 1 month old. This 3 natural ancient remedies is very useful information. I will be follow this tips. Thank you so much for sharing this information. Monique Minahan is a writer committed to unveiling and celebrating the human and the being in all of us. She teaches yoga and meditation as ways to heal and harmonize the soul. Connect with her on Twitter or her website.